With Ignis, the latest offering out of its premium Nexa Segment, Maruti Suzuki seems to be ticking all the right check boxes. The design is quirky, not only on the outside but also on the inside and the stance is distinct. The makers seem to have gone the extra mile in creating a very unique offering. There has been a lot of emphasis on the detailing, not only in areas concerning aesthetics but also performance and comfort. Keeping in line with this, Maruti Suzuki has partnered with Bridgestone to get the right set of tyres for Ignis. And Bridgestone has decided to shod Ignis with its range of eco-friendly tyres – Bridgestone Ecopia EP150. Katsuyuki Yamamura, Director of Consumer Products, Bridgestone India, said, “We are proud to announce our first original equipment fitment for Ecopia tyres with the newly launched car Ignis from Maruti Suzuki. Ecopia tyres are available in 26 sizes ranging from 13″ to 18″ rim diameters and is designed to fit many popular vehicles”. Ecopia EP150 comes equipped with a unique rubber compound which reduces rolling resistance. This helps in increasing the fuel efficiency of the vehicle and provides for quick initial acceleration. It also emits lesser amount of carbon in the atmosphere, thus making it an environment friendly option. The tread pattern is designed to offer confident wet and dry grip and the innovative rubber compound also makes for long tyre life. Combine this with high reliability of Bridgestone products and we have a tyre that offers good ride quality, superior handling and is light on pocket. 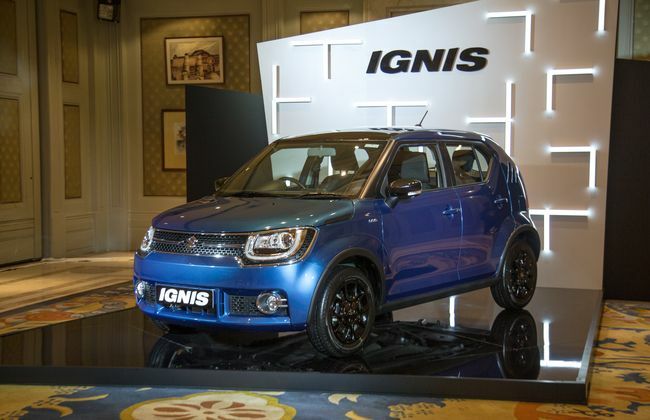 Ignis is Maruti’s effort at creating a Premium Urban Compact Car. It is available in 2 engine options – the ever-so-familiar DDIS 1.3 L Diesel Engine churning up to 75 PS of power and the 1.2L K Series Petrol engine delivering power of 84 PS. Its booking easily crossed the mark of 10,000 soon after its launch and the delivery of the vehicle can be expected to commence around March, 2017.